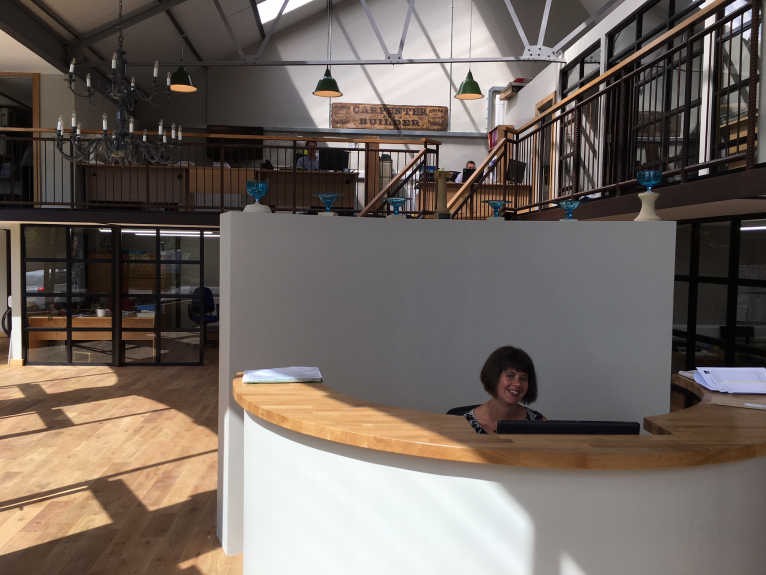 After nearly 70 years at Darlington Wharf in Bath we have recently moved in to our newly refurbished offices at Bathford Works, 34 Box Road, Bath, BA1 7QH. This has allowed us to remain local whilst providing us with more room for our growing business. We would love to see you so if you are in the area please feel free to stop by. 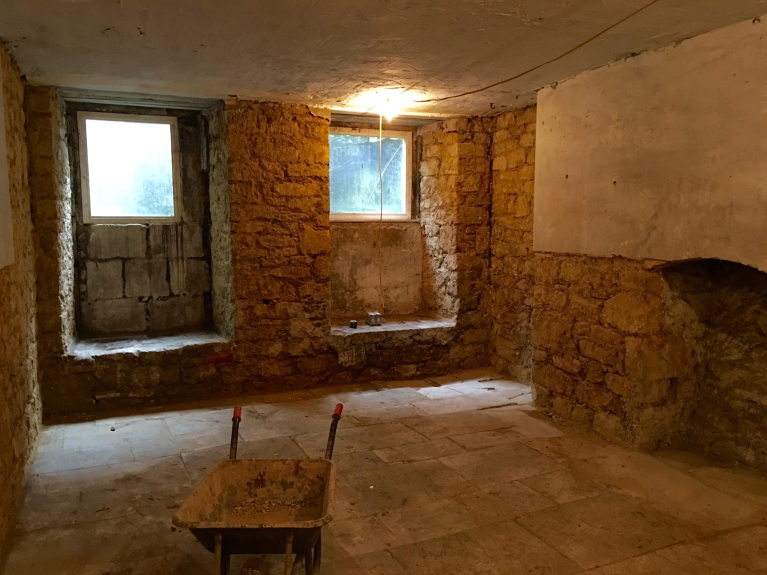 Over the past year we have a carried out a rolling program of refurbishment projects in the Bath area to basement properties in listed buildings for Curo. 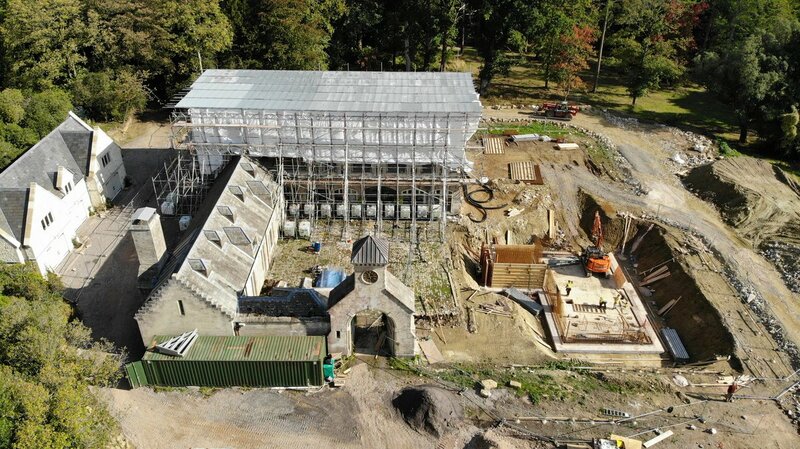 The projects consisted of fully refurbishing formerly derelict basements and vaults, utilizing a combination of proprietary tanking systems and traditional plasters in order to keep them dry and habitable. 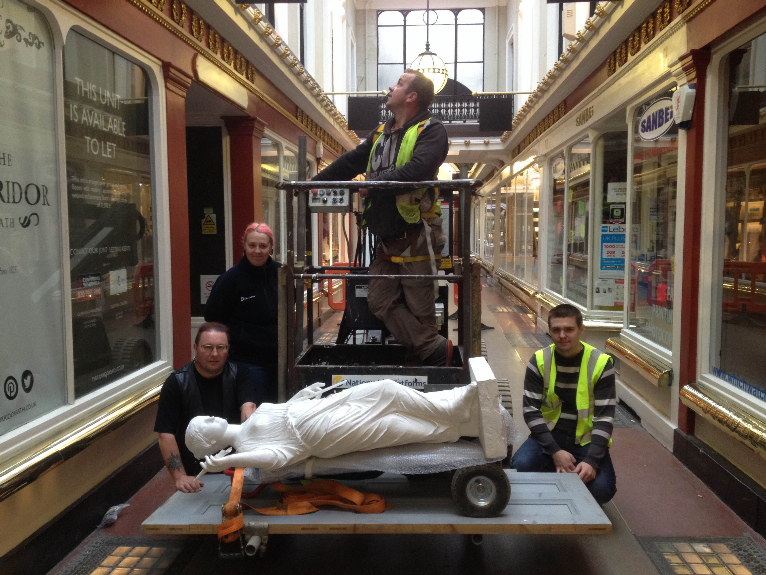 As part of our £100,000 restoration of the Public Area the Corridor in Bath we replaced newly-restored statues. They were removed by Emerys in the 90’s as part of a previous refurbishment. 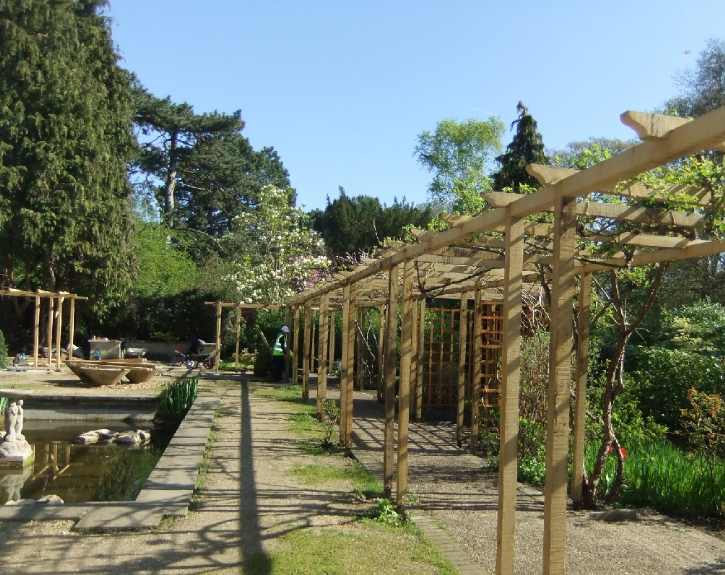 The work involved improved lighting, complete redecoration and substantial alterations and repairs. Pictured is Daniel Garstka from Emerys operating the boom lift. 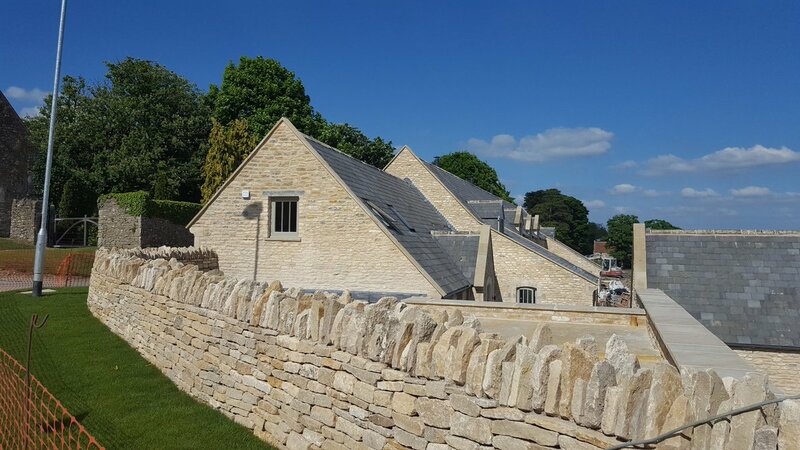 Building Control Award ‘The Walled Garden’ at Claverton Emery’s of Bath have won a regional award under the new housing section at the Building Control Awards. 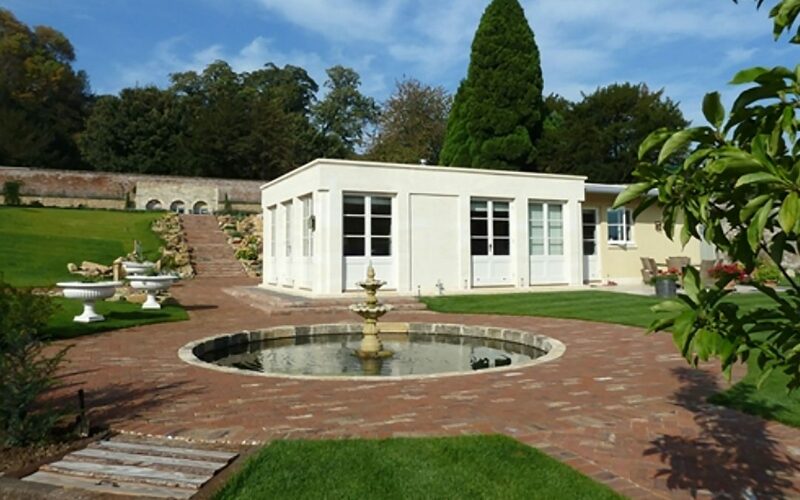 This was a Building & Design Quality award for ‘The Walled Garden’ at Claverton. 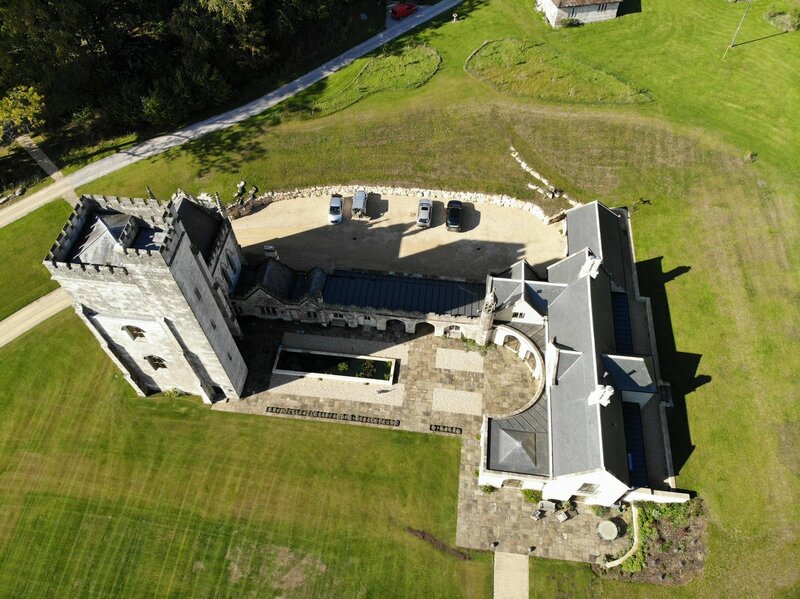 We have now been entered into the national awards, which will take place in London.